Classic brand Roger & Gallet have launched Feuille de Figuier to their best selling Figuier fragrance line which is inspired by the fresh green leaves of the fig tree. Packed full of natural ingredients, including an energising blend of mandarin and bergamot, this is an unusual scent that must be smelled to be fully appreciated. Created alongside leading perfumer, Mathilde Bijaoui, Feuille de Figuier is designed to be the lightest and most vibrant addition to the incredibly popular Figuier line. I remember when I first came across another from the range, Fleur de Figuier, which I loved instantly as it was so different to any other scent that I owned. However my captivation with it was short lived as my mam promptly nabbed it for herself and has repurchased ever since. I do have the hand cream version though which I’m very fond of! By comparison, the aromatic green fragrance, Feuille de Figuier is noticeably lighter but it does still have that distinctive fig air to it. This is a luminous, verdant and refreshing fragrance that captures the scent of a fig garden in the summertime. Feuille de Figuier has top notes of bergamot, mandarin orange and crisp galbanum, a heart of fig sap and sweet neroli essence and a deliciously woody base of cedar and benjoin with a fig accord. Its light, energising and perfect for summer if you want a scent that’s bursting with freshness but what makes it unique is the woody base that gives it more depth than a lot of fresh perfumes out there. Feuille de Figuier by Roger & Gallet is available now, from summer 2018, in 30ml, 50ml and 100ml sized bottles from Feel Unique and Look Fantastic. Give it a try and let me know what you think, I’d love to read your thoughts! Pin this post for when you’re next in the market for a new scent! What fragrances notes do you love? 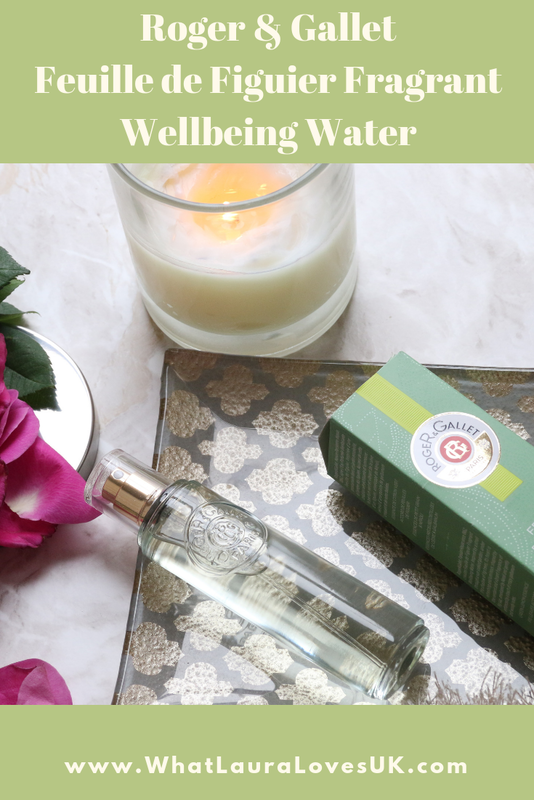 Do you have any other Roger & Gallet recommendations for me? I’m all ears! I am curious about the mandarin notes, often stay clear but now too curious. I need to personally check out this brand and suggested items and see if they are to my liking. That definitely sounds like my sort of scent – I love light fragrances. I have never tried anything like this before, but it sounds lovely. This looks lovely .the packaging is classy and I love the sound of the notes in the fragrance. Bergamot is always such a fresh note in a fragrance .the bottle sizes are perfect for travelling too . Im a big fan of theirs – I have the Gingembre one and it smells so fresh and lovely. I'd love to try this one!